So! 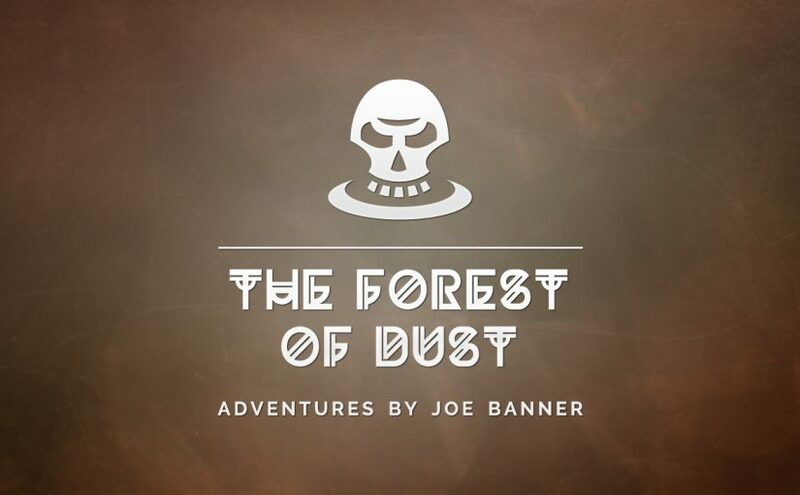 The Forest of Dust. A dusty ruin in the heart of the desert. Ghosts and bandits abound. In the centre, a man of fire cries out for release. Will you free Fire-Lies-Contained? Will you return to civilisation burdened with the riches of a lost civilisation? Or will your bones be eroded to powder, like the long-dead ghosts of the Forest of Dust?